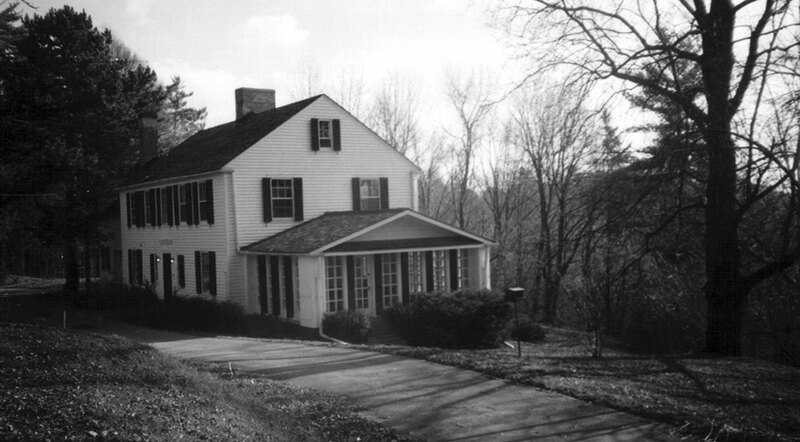 PRIOR TO MSK THERE WAS “HARRABY FARM"
This beautiful “Colonial Style” home, nestled in a plateau overlooking the Humber River, was built in 1925. Gordon and Dorothy “Torchy” MacEachern purchased it in late 1949. They were looking for a home, which would be sheltered from the constant growth of an ever-expanding Toronto. The hills were spotted with their flock of sheep and the lower field was used as a market garden. The “Bush” was left alone for children to explore and, in which to build their forts, while the beautiful Humber was used as the local swimming hole in the summer and skating rink in the winter. It also offered some fabulous fish such as Chub, Perch, and Trout for Gordon’s breakfast. Apart from the beauty of the gardens, which Torchy attended to daily, one of her big interests was education. In the late 1940’s she was on the North York School Board representing York Mills. She gave up her seat on the School Board when she moved to Kleinburg, her caring about the education of her children still continued. Shortly after she arrived she co-founded the Kleinburg Parent Teachers Association together with Mrs. Purvis, wife of the local butcher, and Ms. Rose Rice, the Principal and the Grades One to Four teacher. Kleinburg, in those days, had a two room School House on the back street, which housed grades 1-4 in one room, and 5-8 in the other room. This is all done with the aid of Montessori materials when possible as directed by teachers when needed.